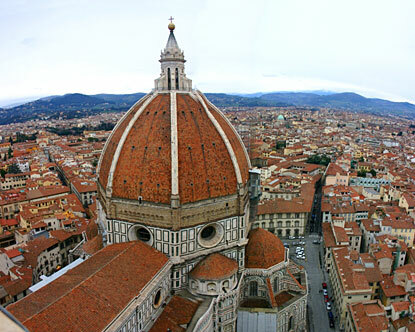 When I think of Florence, I usually think of Renaissance art, leather handbags, and the majestic Duomo. But not today. Today I learned about the Calcio Storico (a.k.a. Calcio Fiorentino), one of the more vicious team sporting events I’ve seen. The Calcio Storico takes place today, June 24, in the Piazza Santa Croce, one of Florence’s main town squares. As far as I can tell, Calcio Storico is sort of a cross between soccer, rugby, UFC, and a bar fight. I’m not a violent man, and I actually don’t watch a lot of fighting sports, but I do like an unusual cultural spectacle when I’m in a foreign city. And the Calcio Storico in Florence certainly qualifies. Two teams play at a time, each team representing one area of the city of Florence. The basic goal is to throw the ball into a net on the other side of the dirt field. But that goal seems almost secondary; most of the players' energy is spent wrestling each other, hitting each other, elbowing each other, choking each other, and otherwise beating each other up. The only rules are no hitting from behind and no kicks to the head. My favorite part (see the video) is the referees dressed in elaborate medieval costumes waving giant feathers in the players’ faces when they break the rules. The sport originated in Florence in the 16th century, played by rich aristocrats. It spread throughout Italy, and participants in the Vatican even included a few future popes (Clement VII, Leo XI and Urban VIII). I would bet that none of the guys playing in today’s match in Florence will become Pope someday, but you never know.